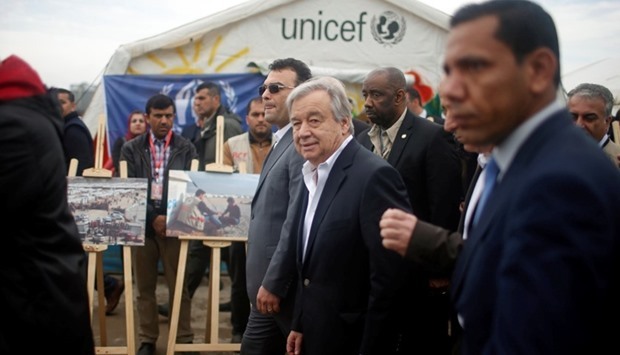 United Nations Secretary General Antonio Guterres visits displaced Iraqis who fled Mosul, at Hasansham camp, in Khazer, Iraq. 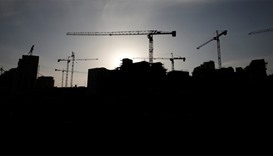 United Nations Secretary-General Antonio Guterres is disappointed and alarmed by Israel's decision to build a new settlement in occupied Palestinian territory, his spokesman said on Friday. 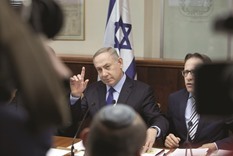 Israel's security cabinet on Thursday approved the building of the first new settlement in the occupied West Bank in two decades, even as Prime Minister Benjamin Netanyahu negotiates with Washington on a possible curb of settlement activity. 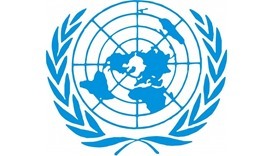 "The Secretary-General has consistently stressed that there is no Plan B for Israelis and Palestinians to live together in peace and security," UN spokesman Stephane Dujarric said in a statement. "He condemns all unilateral actions that, like the present one, threaten peace and undermine the two-state solution," he said. 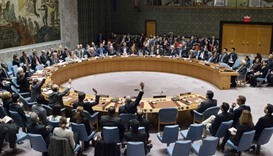 The UN Security Council adopted a resolution in December that demanded a halt to settlement building after the United States, Israel's ally, abstained from the vote. Then President-elect Donald Trump and Israel had urged Washington to wield its veto. Israel for decades has pursued a policy of constructing Jewish settlements on territory captured by Israel in a 1967 war with its Arab neighbors. Most countries view Israeli settlement activity as illegal and an obstacle to peace. Israel disagrees. 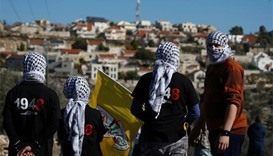 The Palestinians want an independent state in the West Bank, Gaza and East Jerusalem.